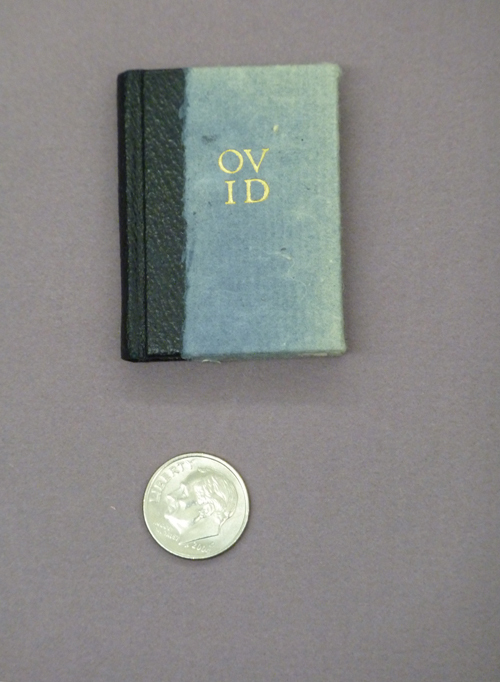 When a student or other patron requests a book in the Special Collections and Archives Reading Room, he or she is sometimes surprised to find the book is a part of our Miniature Book Collection. 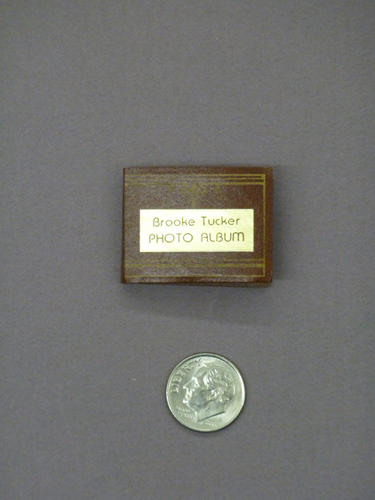 Whether or not a book is called "miniature" is determined entirely by its size; any book smaller than 3" can be considered a miniature book. 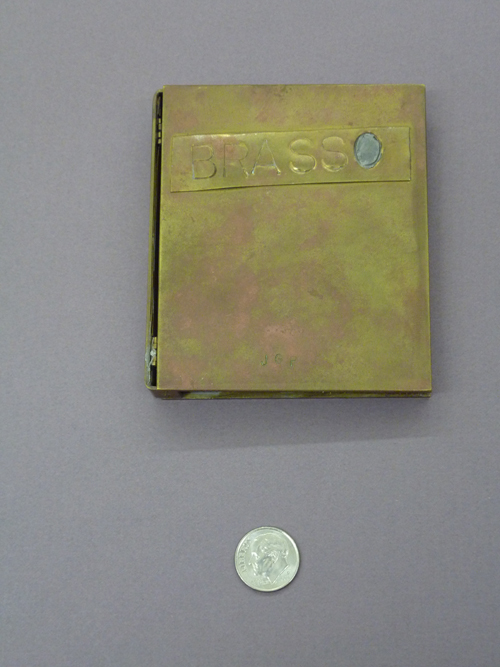 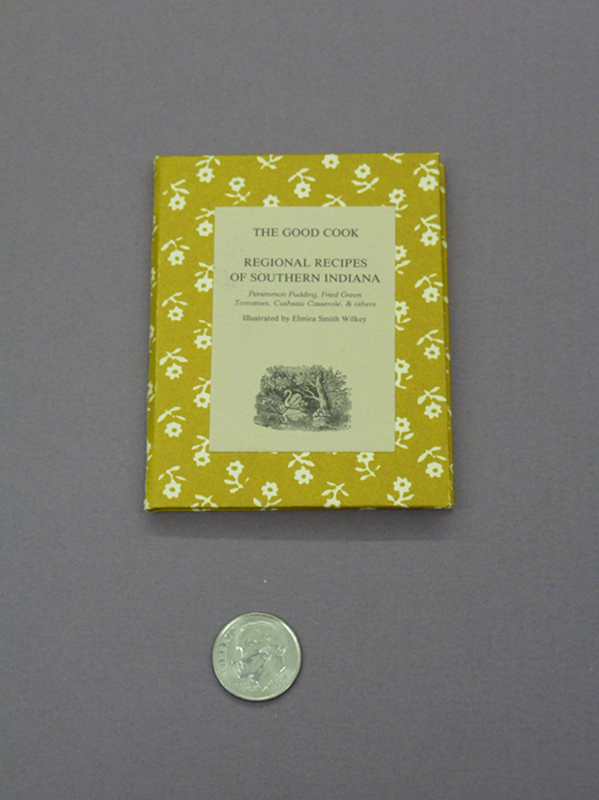 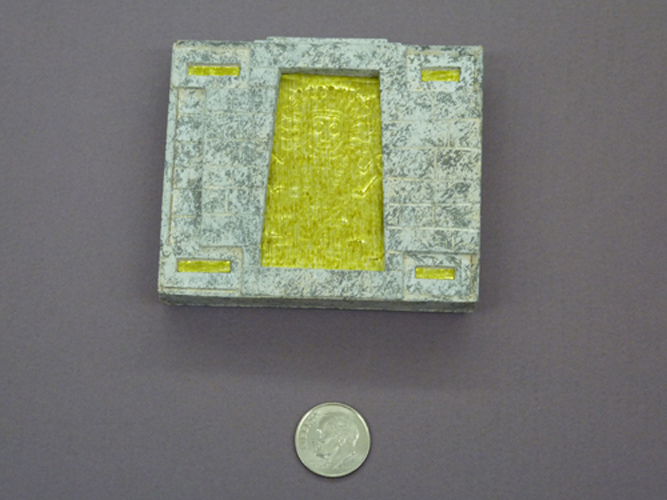 Miniature books are often made in limited editions. 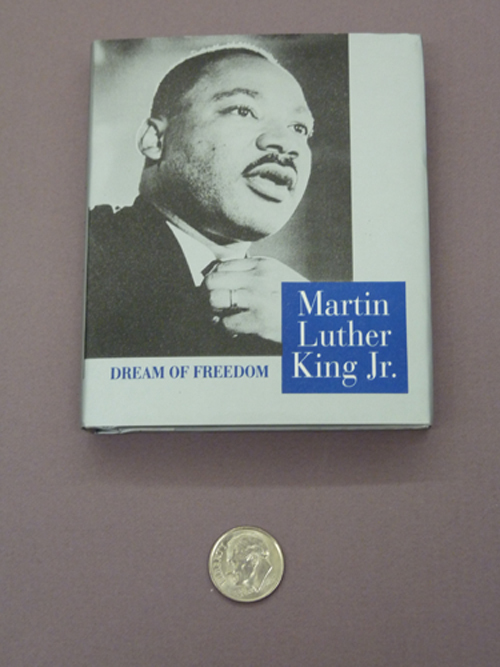 Some people find them so fascinating they collect them, as you might collect coins, stamps, autographs, or other items. 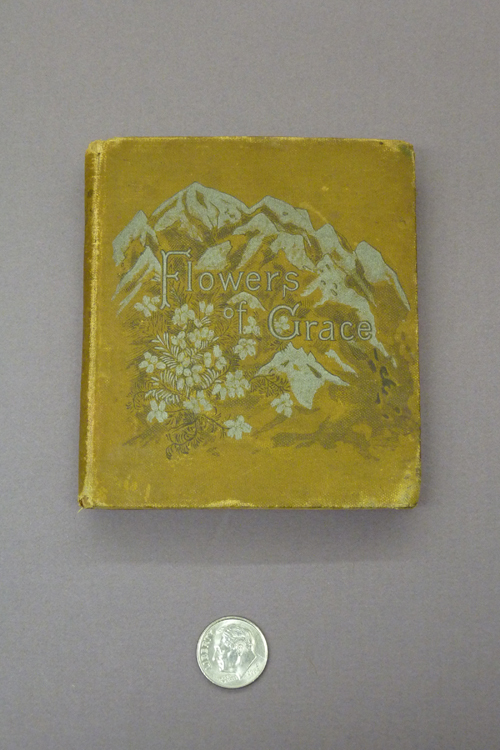 Miniature books are often works of art. 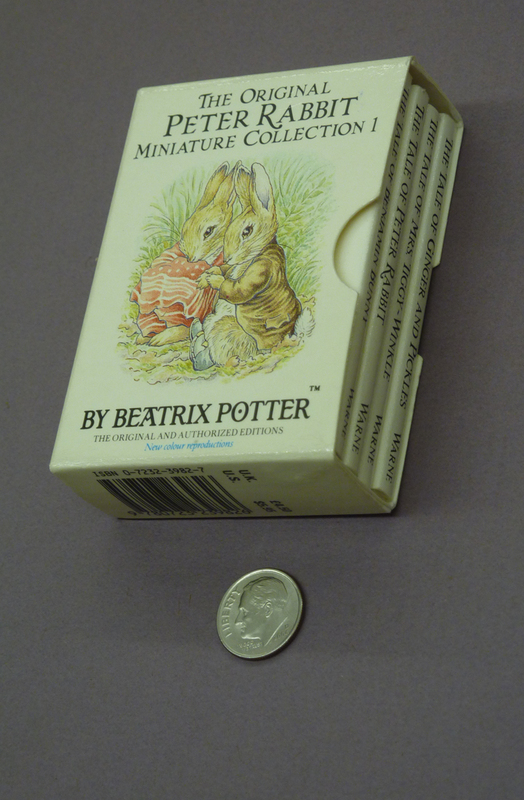 In the United States, they are frequently less than 3 inches tall, but European miniature books can be a little taller. 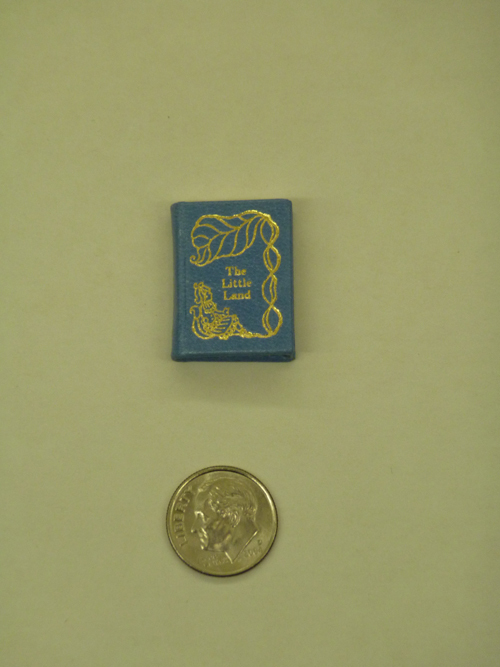 "Micro miniature" books are book less than one inch tall. 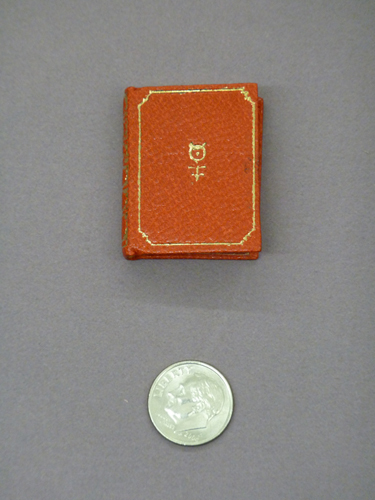 During the Victorian period, it was often fashionable for men to carry a miniature book in their shirt pockets to pass the time, and Victorian women would sometimes carry miniature books in their handbags. 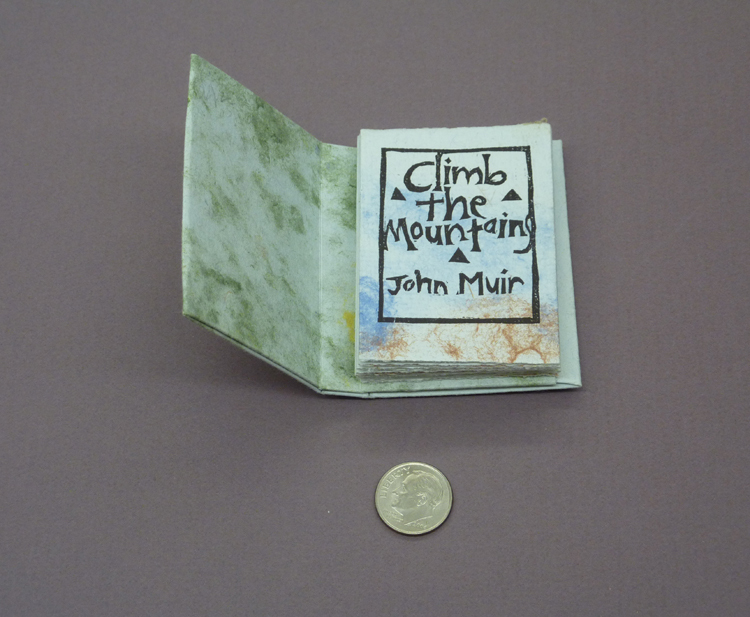 Some of our favorite examples include Climb the Mountains by John Muir, which stands 2 ¾ inches tall, Cracker Jack Chronicles by Valentine J. Poska, which is contained within an old match box, and Flowers of Grace, a book of religious and spiritual advice from the late 19th century. 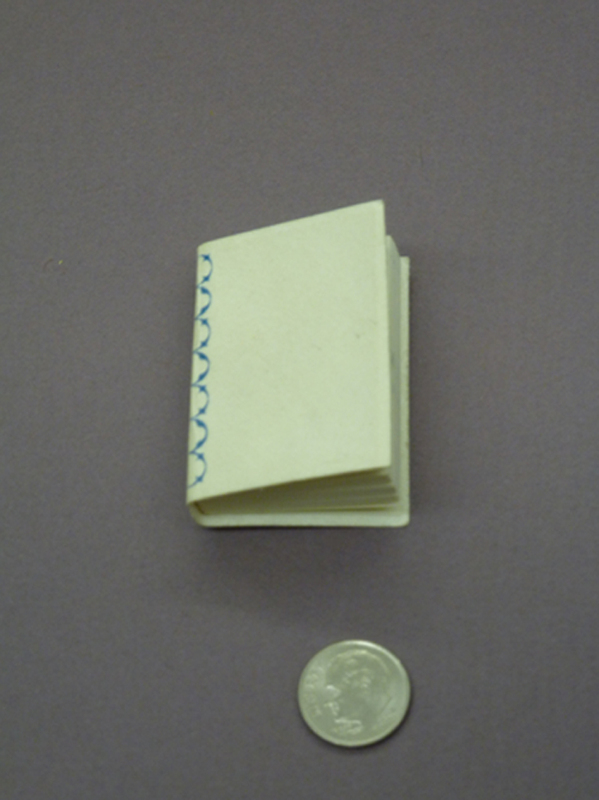 Though not strictly miniature books, some of the earliest printed books were smaller than books usually are today. 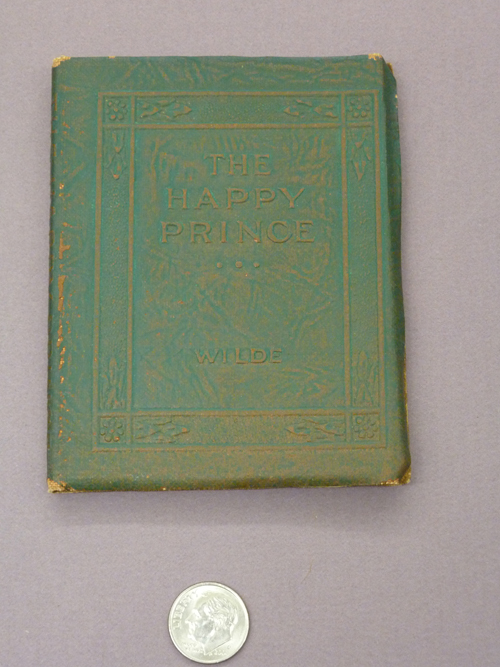 In the 16th and 17th centuries, paper, ink, and printing presses were very expensive, and so only the wealthiest people could afford to purchase books of their own. 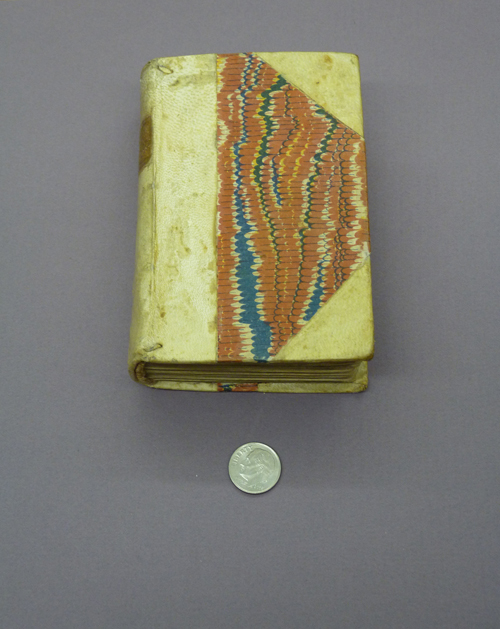 To economize, and sell to a broader market, bookmakers often made books in smaller sizes. 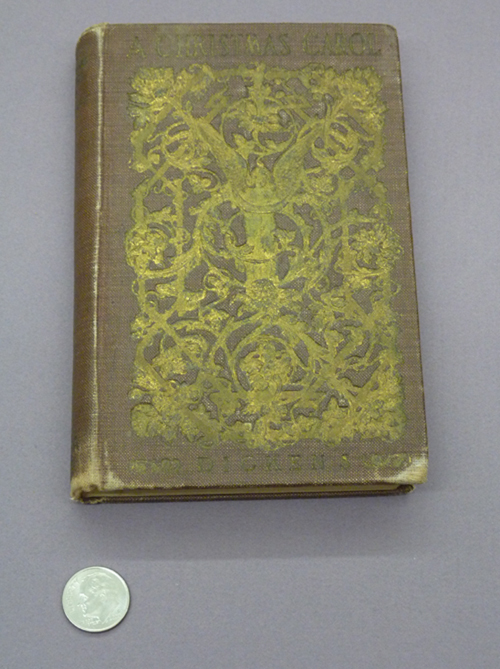 In Special Collections we have a 1547 edition of Aesop's fables printed in Latin and Greek. 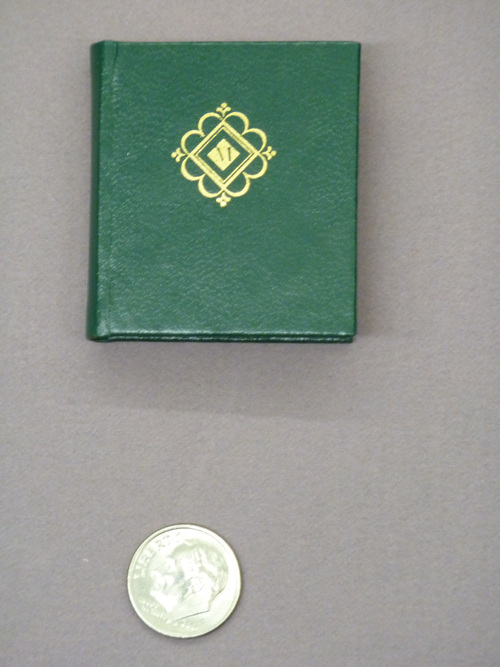 Though larger than a miniature book, the volume stands only 4 ½ inches tall. 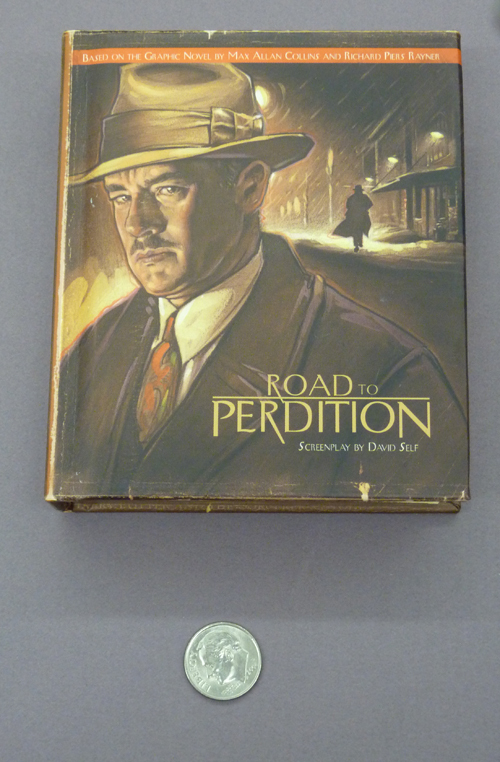 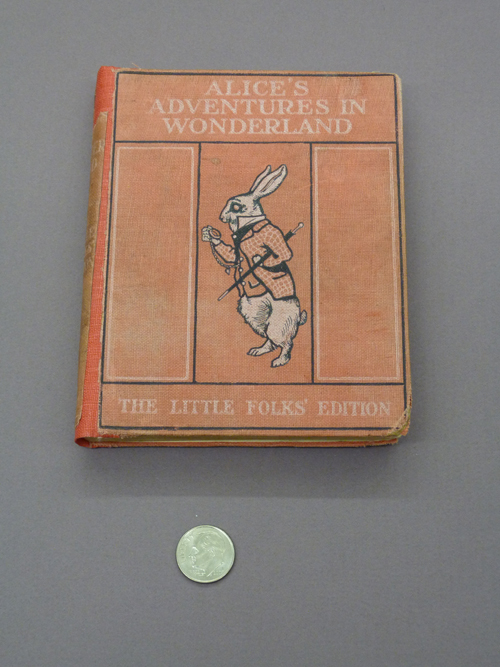 Special Collections and Archives holds more than 300 small and miniature books.